Tasty and great construction with richness and a creamy smoke. Top of the line and simply awesome. Aging potential, is not bad. The ligada is very different from each other puro of the brand. 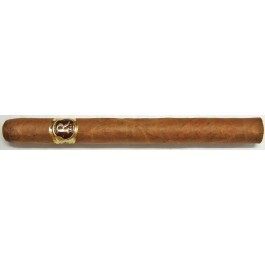 The cigar matches after a lunch or any time you want to smoke a Prominente but not after a heavy diner. This puro could be compared with the Hoyo of the same size. This new product, at least in the small serie of the Double Corona, is a success. Being one of the largest Habanos produced in Cuba is just one credit in the long list of merits for this monumental cigar. Also, as one of the best tasting cigars on the planet, this is sheer heaven to smoke and coddle for the almost hour and half it takes to put one of these big brutes to bed. But, take notice! This is very much the proverbial Lion with Satin Jaws. The size, along with the weighty feel of this cigar, is soon overshadowed by the lush, creamy stream of smoke that delivers a satin-like quality to the senses, assuring friendliness and ultimately bringing happiness and complete tranquility. Buttery and semi-sweet to the palate, with an occasional tease of milk chocolate to balance things, it works the mouth while it continues to lavish its goodness to the frequent sniff of air you will relish. This is the quintessential Habano times ten! Hands down, this is one of the top ten Habanos that is available today. My suggestion: buy a box and stash it away from daily temptation, and draw from it only for those special occasions when you deserve a special treat. Unless you are Al Pacino, then I suppose you could smoke them anytime you wanted.